Pick a customer and start adding items. Your special pricing and customer price lists will be automatically applied. 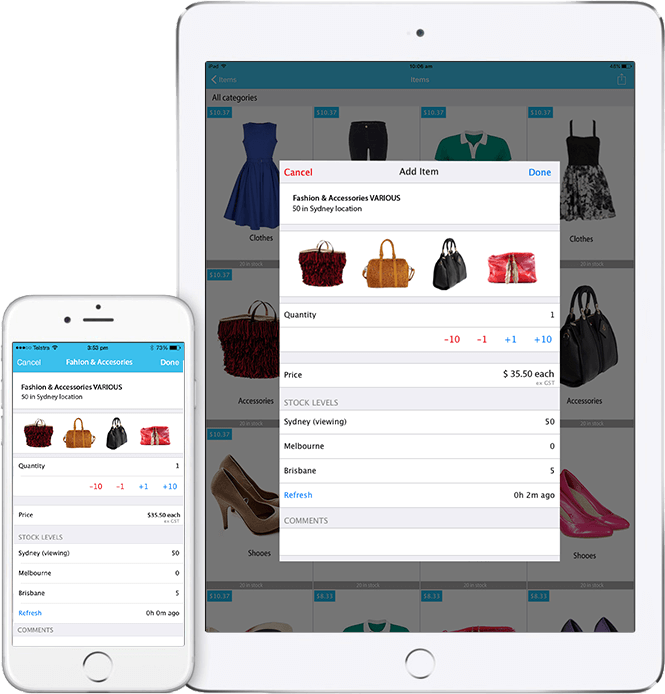 Use Order Templates to add a range of items to your order with just a few taps. The History View will show you what the customer has previously ordered, allowing quick refilling and re-ordering. Take an on-screen signature and email or print a receipt on the spot. Hit the road. 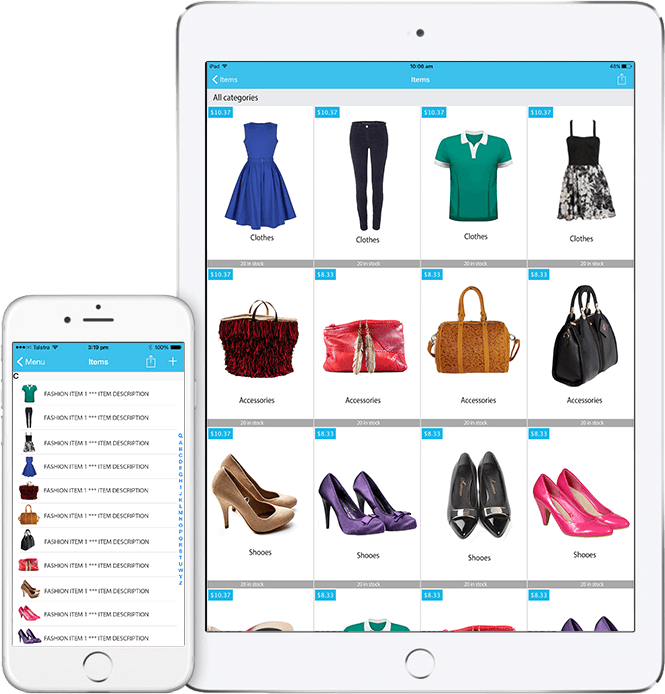 Your product range is beautiful – show it off to your customers. Use our Gallery View and browse through your products simply and quickly with just a flick of your finger. Swipe through multiple photos of the same item. Pinch and zoom in for more detail. Tap on an item and view stock levels and pricing. Then add it to your sale; it really is that easy. Finally, you can do business the way YOU want to – no computer science degree required. Don’t want to take a signature? No problem, untick a box and hide the screen from view. 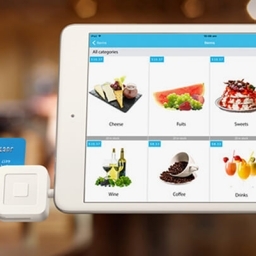 Want to accept payments on invoices but not on sales orders? Easily fine tune what is shown on screen, for each individual type of sale. You can even control whether stock levels increase, decrease or remain the same; inventory levels that decrease for invoices, and then increase for credit notes & returns is a breeze to set up. Hide and show different areas of the app to different types of users. Share customers and sales histories – or don’t, it’s up to you! Build up Activity Notes relating to all your customer visits, phone calls and sales pitches and then share this with the rest of your team. Create your own Customer Surveys by designing your own sequence of questions, and then run through them together with your customers. Add our optional Appointments module and create once off or recurring rep appointments. 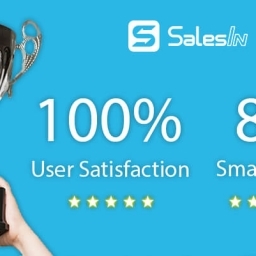 Use the SalesIn website to do everything the iOS app can, and more. Customise your dashboard with a number of charts and graphs for a quick look at how your business is performing. Generate reports to PDF and export data to Excel for further analysis. You can even create and manage sales, customers, inventory, and see everything your reps are doing. Easily control user access and permissions. Send instant messages to your reps with Push Notifications, and view their last known position using Google Maps. 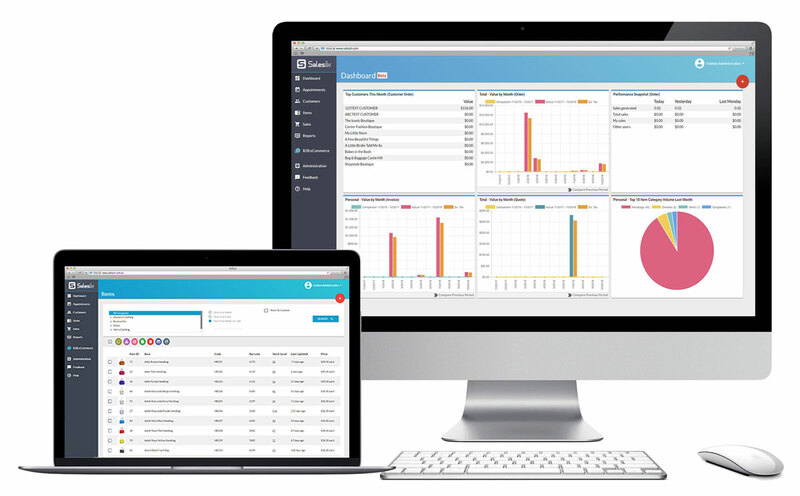 Link SalesIn with your existing accounting system and experience a fully integrated work flow. Your customers, products, pricing and stock levels are uploaded to SalesIn, and any new sales are pushed into your accounting system. And it all happens automatically. Grab a trial on the Complete Plan and try it for yourself! 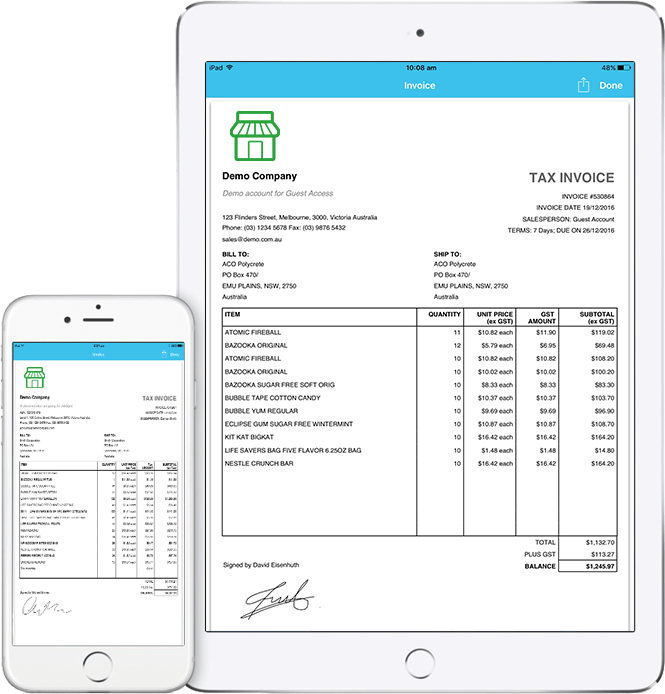 No more phone calls, emails, faxes or paper work!